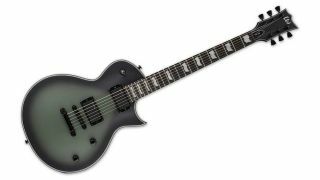 Walmart might not be your first port of call for Mastodon signature guitars, but it’s got a formidable deal going on ESP LTD’s BK-600 Bill Kelliher model. The retail giant has knocked an almighty $389 off this souped-up single-cut, bringing the grand total to $649, down from $1,039. For anyone after LTD’s classic Eclipse outline, this is a killer offer, especially given the impressive specs, including Bill’s Lace Sensor Dissonant Aggressor pickups, a mahogany body and neck, ebony fingerboard and TonePros locking TOM bridge and tailpiece. What’s more, the deal includes a ChromaCast Pro Series hardcase, med-light gauge max sustain guitar strings, 4 pick sampler, nylon strap, 10' pro series instrument cable and tuner. You’d best act fast, though; at the time of writing, just six of these brutal beauties are left in stock.